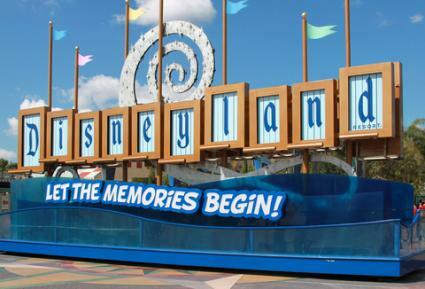 The Disneyland Theme Park, located in Anaheim California, has been a popular tourist destination for over 50 years. Appealing to families the world over, this magical place has far surpassed the original dreams of a man and his mouse. Here are a few important facts that can help you plan your trip to Disneyland. Disneyland hours of operation are from about 8:00 a.m. to midnight for the general public, although times do vary a bit. If you want to avoid those long morning lines, you can buy an early admission ticket that gives you access to the park as early as 7 am. Ticket prices vary according to how many days you want to visit the park, but a one-day admission ticket costs $86 for children under 9 and $92 for anyone over 10. The more days you pay for, the cheaper the ticket. Parking your vehicle costs about $16. 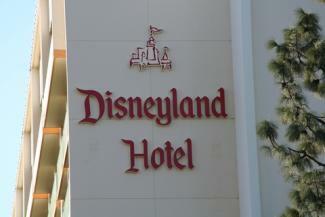 If you plan to visit for several days, Disneyland offers hotel accommodations at several of their own hotels. Weather is always a consideration when you're planning a visit to an amusement park, and the park's official website offers a guide with tips about visiting at different times of the year. You can even use these tips to plan a visit during month when attendance is typically down and lines are shorter. The Disneyland theme park is divided into eight different areas called "lands." Each of these lands caters to a different fantasy theme and you'll find rides, shows and other attractions. All of these features give every corner of the park a unique appeal. 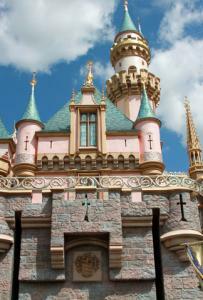 Go through the passageway of Sleeping Beauty's castle, and you will find the sort of world that every child envisions. Little girls especially adore Fantasyland with its royal carousel and visits from Cinderella, Belle, Snow White, and many other favorite Disney heroines. In Fantasyland you will find child-friendly fare, as well as a great opportunity for adults to relive a little of their childhood. Tomorrowland is where adventures in space take place as this land launches you into the future. From upcoming technology demonstrations to a soaring rocket ship ride, Tomorrowland is the perfect sanctuary for kids who dream of one day being astronauts or scientists. Featuring popular movie characters from Toy Story and Star Wars, Tomorrowland succeeds in providing fun with a futuristic flair. Climb Tarzan's Treehouse and escape danger with Indiana Jones in Adventureland. This land follows a jungle theme complete with dangling vines and rain forest noises that come out of the perfectly landscaped trees. Adventureland is the perfect area for thrill seekers, and the rides here keep every visitor's adrenaline pumping. Step into the Wild West complete with drifting cowboys and horseshoe tracks on the ground. Here you will find a "saloon" that sells chili dogs and lemonade, as well as great stage shows, a kid-safe shooting gallery, and more. Frontierland is full of history lessons that are never boring and will leave your kids hungry for more. Home to the famed Pirates of the Caribbean ride that inspired the popular Johnny Depp movies, New Orleans Square is also where you will find the Haunted Mansion and some of the best Cajun food around. Enjoy the Southern feel of this area and the sound of jazz music wafting through the air. Critter Country is where you will find Winnie the Pooh and his 100-acre wood friends, as well as the thrilling Splash Mountain, which features one of the longest and steepest drops ever seen on a log ride. Little ones will love the friendly characters who are always ready to take photos with your family, and you will want to make a stop at the Hunny Pot bakery. Come visit Mickey and Minnie in their side-by-side houses, and run into some other classic characters as well. 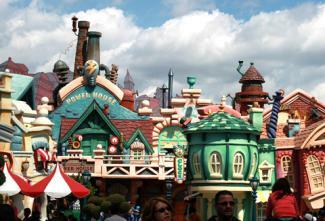 Donald, Chip & Dale, and even Roger Rabbit can be found in this cartoon-style village complete with whimsically bright colors and abnormally proportioned buildings. People often think of main street as that expensive place full of all the commercial Disney shops and restaurants. This is true, but only to a point. Main Street also has attractions such as its Disney Cinema and the Disney Story. At the store, you can currently watch Abraham Lincoln come to life and deliver one of his famous speeches. Leisurely rides on vintage buses, trains and horse driven carriages will take you from one end of the street to the other. Walt Disney was an innovator. From creating the first full-length animated film to planning the now gargantuan Walt Disney World resort in Florida shortly before he passed away, Disney was the epitome of ambition. Many people argue that the best fruits of his labor are found in Disneyland, which was his original theme park. According to the park's history, Disneyland was built in 1955 and opened to the public in July of that same year, although it was far from ready for visitors. Infamously referred to by Disney historians as "Black Sunday," the asphalt hadn't even set yet, and the park ran out of food and beverages halfway through the opening ceremonies. Despite this rough beginning, Disneyland was visited by multitudes of individuals that first year, and the park has remained popular through the years. The park was eventually expanded to include neighboring Disney's California Adventure theme park, and similar parks have been established in Tokyo, Paris, and Hong Kong as well. Disneyland prides itself on timeless family entertainment, and you will truly find something for everyone in this spunky land of make believe. Whether you plan to visit for a day or longer, you'll find it difficult to run out of things to see and do.